360° turn of key throws or retracts hookbolt. When unlocked further 120° turn retracts latchbolt also. Latch holdback snib located inside bolt cavity, this is accessible only when hookbolt is in thrown position. All faceplates and strikeplates must be ordered separately. Hookbolt is operated from either side by key or turn using any standard screw-in cylinder or thumbturn (with cam). 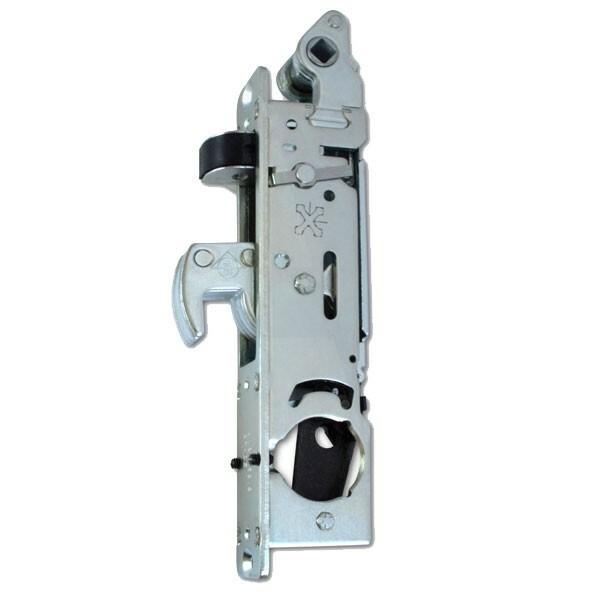 Reversible latchbolt withdrawn by paddle handle or lever handle from either side.